Supplier & Trader of Heat Gun Machines. Our product range also comprises of Rotary Hammers, Demolition Hammers and Impact Drills. From the first day of our inception, we have been able to supply and trade the best quality of Heat Gun. Our clients can avail the offered heat gun in various sizes and specifications, in accordance with their needs and requirements. 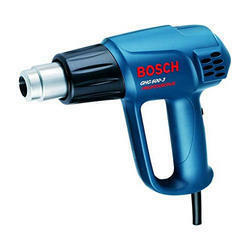 Its easy operation, thermal stability and less power consumption, make this heat gun highly demanded. 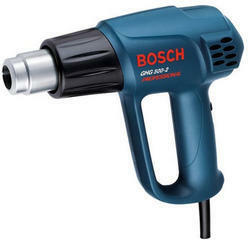 Due to our rich experience of this domain, we are engaged in offering the finest quality of Bosch GHG 600-3 Professional Heat Gun. Sourced from reliable vendors, the offered D handle heat gun is highly demanded for its ability to tolerate high temperature, compact design and less power consumption. Our vendors make use of latest machinery, for manufacturing the offered D handle heat gun. 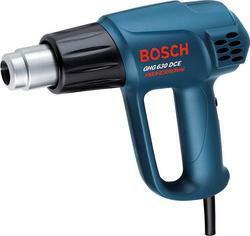 Valued as a reliable supplier and trader, we are engaged in supplying and trading the premium quality of Bosch GHG 630 DCE Professional Heat Gun. The offered electric heat gun is known for its compact design, better energy efficiency, high performance and durable construction. 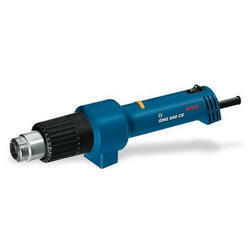 Our clients avail the offered electric heat gun in various specifications, as per the needs and requirements.